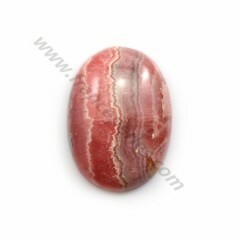 Pink rhodochrosite cabochon, in oval shape, in size of 17*26mm, sold by unit, stone of excellence to fight against stress, it is capable of generating a state of calm, and it brings us great peace of mind. 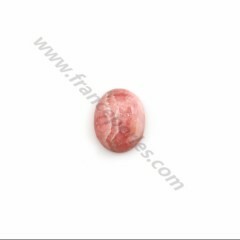 Pink rhodochrosite cabochon, in round shape, in size of 11mm, sold by 1, it is a stone of love and compassion, it is ideal for healing deep wounds. 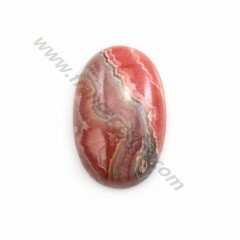 On a daily basis rhodochrosite brings a positive attitude to the wearer. 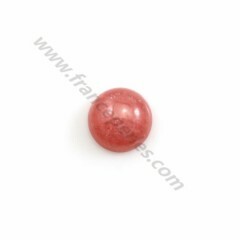 Pink rhodochrosite cabochon, in round shape, in size of 12mm, sold by 1 piece, it is a stone of love and compassion, it is ideal for healing deep wounds. 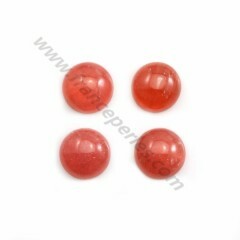 On a daily basis rhodochrosite brings a positive attitude to the wearer. 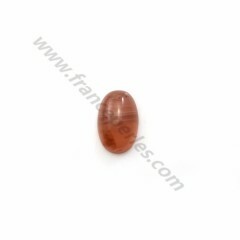 Pink rhodochrosite cabochon, in oval shape, in size of 10*13mm, sold by unit, stone of excellence to fight against stress, it is capable of generating a state of calm, and it brings us great peace of mind. 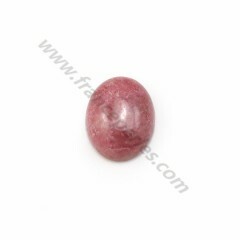 Pink rhodochrosite cabochon, in oval shape, in size of 11*14mm, sold by 1 piece, it is a stone of love and compassion, it is ideal for healing deep wounds. 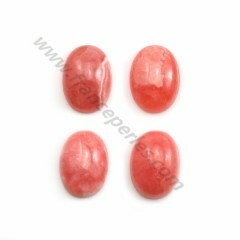 On a daily basis rhodochrosite brings a positive attitude to the wearer. Pink rhodochrosite cabochon, in oval shape, in size of 11*15mm, sold by 1 piece, it is a stone of love and compassion, it is ideal for healing deep wounds. On a daily basis rhodochrosite brings a positive attitude to the wearer. 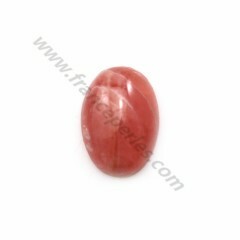 Pink rhodochrosite cabochon, in oval shape, in size of 11*16mm, sold individually, in its purest form, the rhodochrosite has a pink and red color. This pink and red color however remains rare. It oscillates most often between pink and light brown. It should also be noted the presence of white bands. 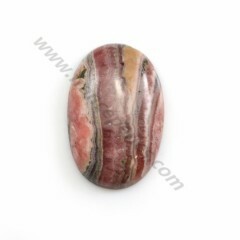 Pink rhodochrosite cabochon, in oval shape, in size of 12*15mm, sold by 1 piece, it is a stone of love and compassion, it is ideal for healing deep wounds. On a daily basis rhodochrosite brings a positive attitude to the wearer. Pink rhodochrosite cabochon, in oval shape, in size of 16*22mm, sold by 1 piece, it is a stone of love and compassion, it is ideal for healing deep wounds. On a daily basis rhodochrosite brings a positive attitude to the wearer. Pink rhodochrosite cabochon, in oval shape, in size of 15*18, sold by 1 piece, a 16th century trade book describes this stone as beneficial: it would bring to its possessor the joy, intelligence and memory while preserving its honor. 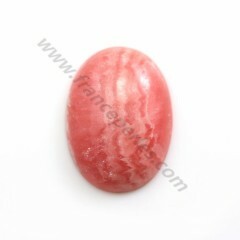 Pink rhodochrosite cabochon, in round shape, in size of 11mm, sold by unit, it is a stone of love and compassion. On a daily basis rhodochrosite brings a positive attitude to the wearer. 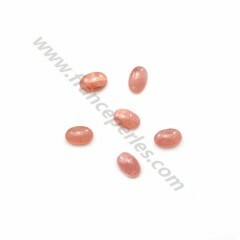 Pink rhodochrosite cabochon, in oval shape, in size of 7*9mm, sold by unit, stone of excellence to fight against stress, it is capable of generating a state of calm, and it brings us great peace of mind. 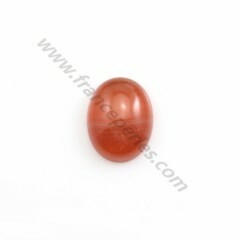 Pink rhodochrosite cabochon, in oval shape, in size of 9*11mm, sold by unit, stone of excellence to fight against stress, it is capable of generating a state of calm, and it brings us great peace of mind. 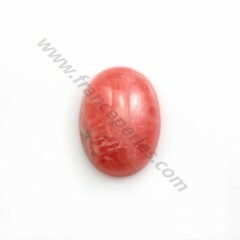 Pink rhodochrosite cabochon, in oval shape, in size of 8*10mm, sold by unit, stone of excellence to fight against stress, it is capable of generating a state of calm, and it brings us great peace of mind. 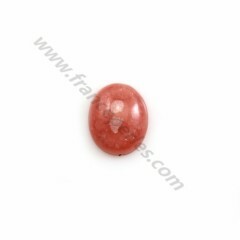 Pink rhodochrosite cabochon, in oval shape, in size of 9*12mm, sold by unit, stone of excellence to fight against stress, it is capable of generating a state of calm, and it brings us great peace of mind. 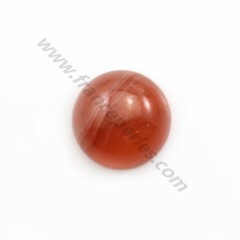 Pink rhodochrosite cabochon, in oval shape, in size of 10*12mm, sold by unit, stone of excellence to fight against stress, it is capable of generating a state of calm, and it brings us great peace of mind. 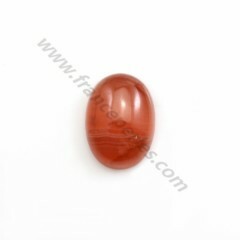 Pink rhodochrosite cabochon, in oval shape, in size of 11*15mm, sold by unit, stone of excellence to fight against stress, it is capable of generating a state of calm, and it brings us great peace of mind. 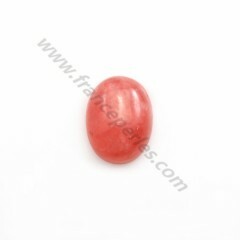 Pink rhodochrosite cabochon, in oval shape, in size of 13*17mm, sold by unit, stone of excellence to fight against stress, it is capable of generating a state of calm, and it brings us great peace of mind. Pink rhodochrosite cabochon, in round shape, in size of 10mm, sold by unit, stone of excellence to fight against stress, it is capable of generating a state of calm, and it brings us great peace of mind. Pink rhodochrosite cabochon, in oval shape, in size of 12*16mm, sold by unit, stone of excellence to fight against stress, it is capable of generating a state of calm, and it brings us great peace of mind. Pink rhodochrosite cabochon, in oval shape, in size of 18*25mm, sold by unit, stone of excellence to fight against stress, it is capable of generating a state of calm, and it brings us great peace of mind. 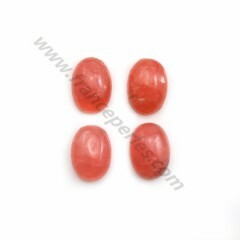 Pink rhodochrosite cabochon, in oval shape, in size of 7*12mm, sold individually, in its purest form, the rhodochrosite has a pink and red color. This pink and red color however remains rare. It oscillates most often between pink and light brown. It should also be noted the presence of white bands. 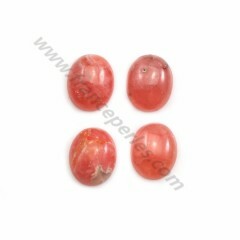 Pink rhodochrosite cabochon, in oval shape, in size of 8*11mm, sold individually, in its purest form, the rhodochrosite has a pink and red color. This pink and red color however remains rare. It oscillates most often between pink and light brown. It should also be noted the presence of white bands. 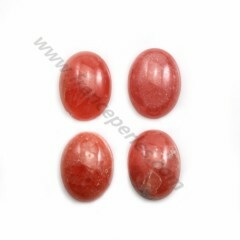 Pink rhodochrosite cabochon, in oval shape, in size of 8*12mm, sold individually, in its purest form, the rhodochrosite has a pink and red color. This pink and red color however remains rare. It oscillates most often between pink and light brown. It should also be noted the presence of white bands. 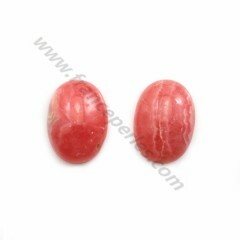 Pink rhodochrosite cabochon, in oval shape, in size of 18*27mm, sold individually, in its purest form, the rhodochrosite has a pink and red color. This pink and red color however remains rare. It oscillates most often between pink and light brown. It should also be noted the presence of white bands. 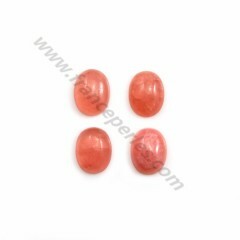 Pink rhodochrosite cabochon, in oval shape, in size of 14*19mm, sold individually, in its purest form, the rhodochrosite has a pink and red color. This pink and red color however remains rare. It oscillates most often between pink and light brown. It should also be noted the presence of white bands. Pink rhodochrosite cabochon, in oval shape, in size of 9*15mm, sold by 1 piece, it is a stone of love and compassion, it is ideal for healing deep wounds. 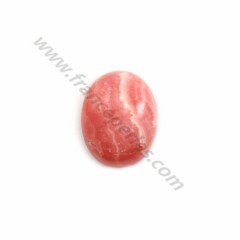 On a daily basis rhodochrosite brings a positive attitude to the wearer. 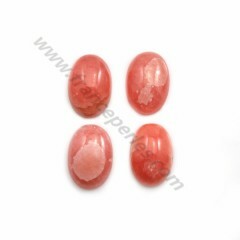 Pink rhodochrosite cabochon, in oval shape, in size of 5*7mm, sold by unit, stone of excellence to fight against stress, it is capable of generating a state of calm, and it brings us great peace of mind. 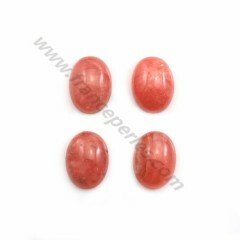 Pink rhodochrosite cabochon, in oval shape, in size of 4*6mm, sold by unit, stone of excellence to fight against stress, it is capable of generating a state of calm, and it brings us great peace of mind. 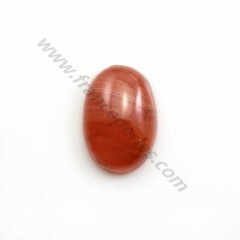 Pink rhodochrosite cabochon, in oval shape, in size of 10*14mm, sold by unit, stone of excellence to fight against stress, it is capable of generating a state of calm, and it brings us great peace of mind. 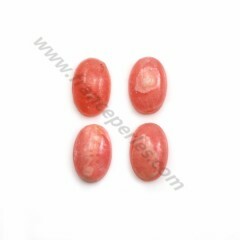 Pink rhodochrosite cabochon, in oval shape, in size of 7*11mm, sold individually, in its purest form, the rhodochrosite has a pink and red color. This pink and red color however remains rare. It oscillates most often between pink and light brown. It should also be noted the presence of white bands.